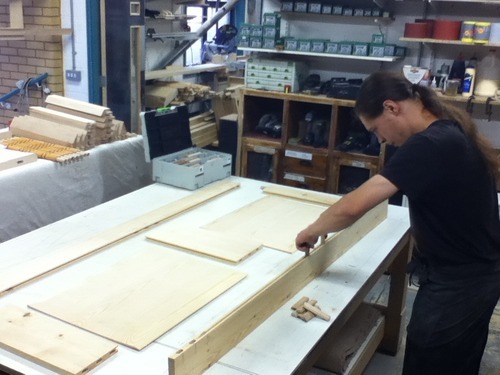 Alex glueing up a replica servants quarter door for a listed period house in Ironbridge. He also made a new section of stair case, handrail, newels, bottom rail and spindles to match the original for Tim Holloway of TGH building services Telford. Well done Alex 2 years apprentiship complete 5 to go!